Thanks Stacy! A great idea! Nice to ‘meet’ another New Mexican too, one with more experience with pinto beans! This soup isn’t as thick as most NM cook’s ‘beans’, at least not that I have experienced so far. And yes, they have more spices than most. But we thought it was delicious. Curious to hear what you think if you make it. This looks so good and so simply satisfying! 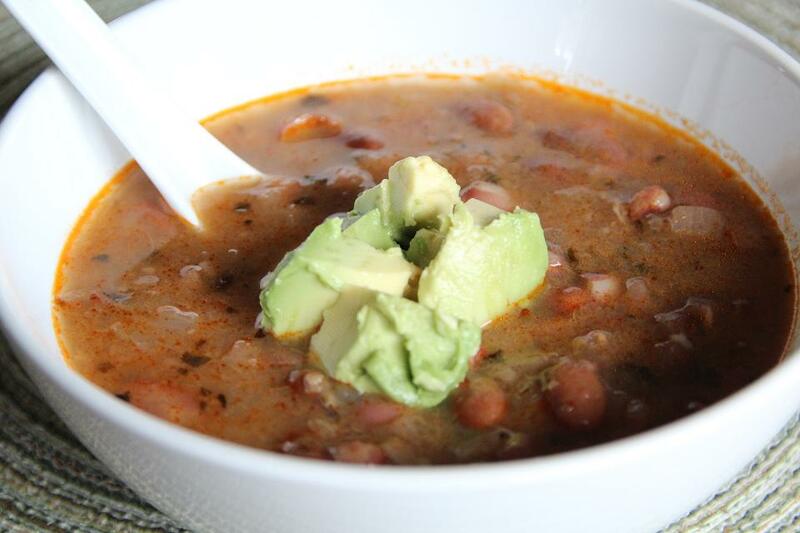 I love pinto beans…awesome recipe! Exactly! Nice to ‘meet’ you! This looks really good. Thanks for the recipe! Sounds good for the heart and soul. Love the idea of combining pinto and anasazi!